Far right parties should be allowed. Every idea is legitimate and has a group of humans supporting it. It is difficult to define how far right a party has to become before it should be illegal. This is not worth it. Everyone is free to share their thoughts. If there isnt a party with this ideas, the people who believe in it will not vote. 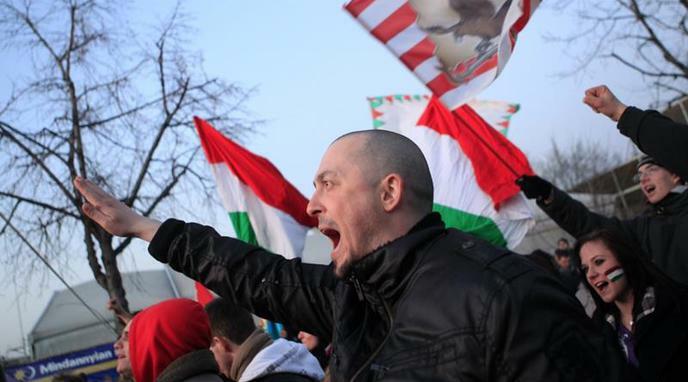 Far right parties defend nationalism and conservative thesis, which are legitimate values. Banning far-right parties is a slippery slope, as there is a danger this will set a precedent for banning groups that are criticized by mainstream society. Far right parties incite hate and violence. Like Popper said "Unlimited tolerance must lead to the disappearance of tolerance". Therefore, you cant be tolerant with far right parties. History shows that extremist ideologies (far right and left) leads to chaos and destruction. The ideals of white supremacy, xenophobia and homophobia are against ethics and moral and should be extinct. Should religion be allowed in the public space?